Late last year I was lucky to spend a week exploring Dubai; it was my first official trip to the Middle East and it succeeded all of my expectations. If you happen to find yourself in Dubai, whether for a stopover or a few days, you are absolutely spoilt for choice. 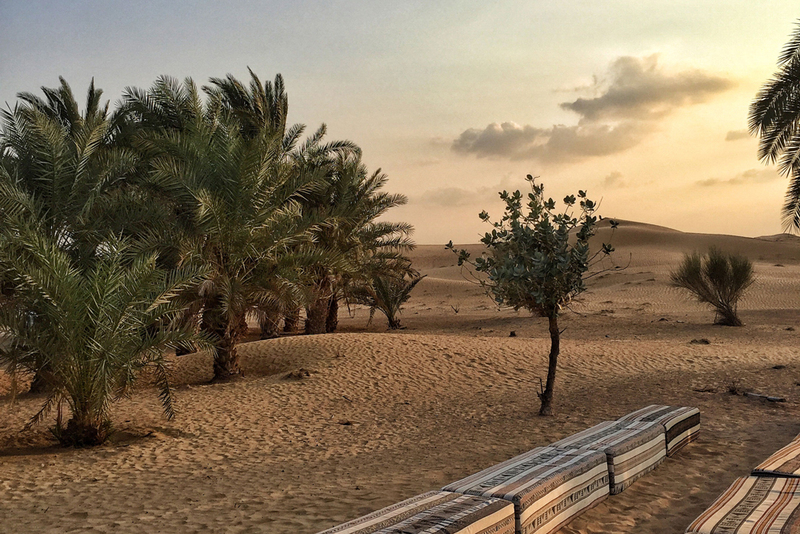 So instead of spending hours researching online, I thought I would write a little blog post sharing my top 10 things to do in Dubai. Enjoy! 1. HOT AIR BALLOON One of the best ways to experience the Arabian desert is to take a ride in a hot air balloon. 2. SOUK TOUR Take a step back in time and embark on a little tour of the souks in Dubai. 3. SEAWINGS ADVENTURE The view from above is always better, so flash the cash and take a seat on one of Seawing's city flights. 4. BURJ KHALIF For the best views of the city, take the elevator up to the upper most desk for outrageously gorgeous views. 5. DUNE QUAD BIKING Not ready to experience the Arabian desert by air? No worries! Jump on a quad bike instead. 6. SUM OF US Enjoy the best coffee in Dubai at this trendy cafe, Sun of Us, which also roasts it's own coffee beans. 7. DESERT DINNER Enjoy dinner under the stars in the middle of the desert - what else would be better?! 8. EDEN BEACH Escape the hustle and bustle by spending an afternoon at the Eden Beach Club...and stay well after sunset when the fun really begins. 9. ST REGIS Enjoy an afternoon of high tea at the new St Regis Hotel. 10. 4WD IN THE DESERT If adventure is your middle name, you can't miss out on an afternoon of 4WD'ing over the mountainous desert dunes.